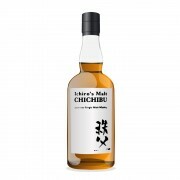 Ichiro Akuto founded the Chichibu Distillery as recently as 2008, but his family has been involved in distilling sprits since the 17th Century. In 1941 his grandfather was the founder of the now closed but revered Hanyu Distillery. Ichiro worked for Suntory for many years and used that knowledge to build his own distillery a decade ago in the Saitama Prefecture in the village of Chichibu. This single cask release of Malt & Grain leaves little to the imagination as to its contents, of course. Nice, bright nose with loads of vanilla, juicy peach and lemon zest, but also a plankish not of freshly sawn wood. However: it works like a charm here! Nicely oily and mouth coating. 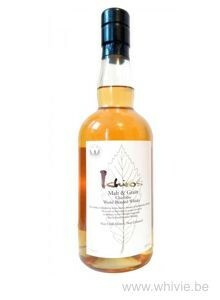 On the palate I get loads of citrus, but also hints of tropical fruit, some honey and pipe tobacco and lots of spices. Thing ginger, nutmeg and black pepper. The second sip bursts of sweet malt, toffee and freshly mowed hay. Very summery, this. In the medium long finish, the hay, lemon zest and black pepper return for an encore. Pleasant, bright blend from the land of the rising sun. And only my fifth Chichibu to date? Note to self: get more!